What used to be a T-junction turned into a crossroads when the airfield fell out use. 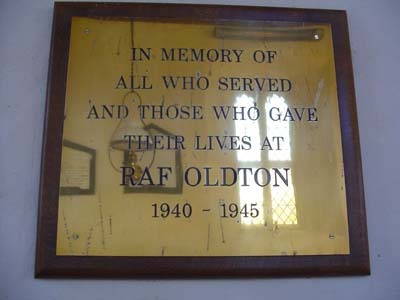 RAF Oldton was shut down fairly quickly after the war. Some say it was only ever a decoy airfield in the first place, designed to fool the enemy into bombing bogus targets. 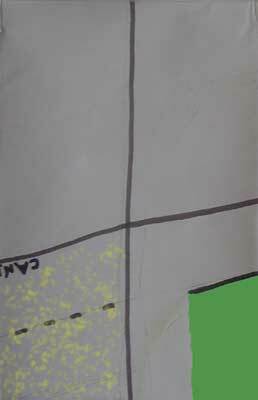 Some even go so far as to suggest that the whole of Oldton was a decoy town. Certainly after the murder of Alice Higginbotham, it's likely that the locals took against the RAF. The spectre must have been raised of a uniformed serial killer picking off the inhabitants one by one. Either way, half the land was given over to farming, and the other half became a place where dads could teach their kids to drive, and the kids themselves could get up to no good in the derelict hangars.